The Fields of Gettysburg @ Peoples Bank Theatre This Friday! Statue of Brigadier General John Buford. Photo by Dave Sandt. I've been honored to be a part of the song cycle / concept album The Fields of Gettysburg for the past couple years. This is such a special album...a labor of love by singer-songwriter John A. Walsh, an MOV native. John served in the military as a young man and later developed a strong soul connection to the stories of the people involved in the Battle of Gettysburg after a visit to the site of the battle. He cites the moment when he came upon the statue of John Buford at the battlegrounds as the starting point when he felt compelled to tell the stories of General Buford and others through song. His inspiration has come full circle: the album is now on the shelves at the Gettysburg Visitor Center. John chose six diverse historical figures for the story: two generals (Confederate and Union), two young soldiers (Confederate and Union), and two civilians, mother and daughter. From these six perspectives, the listener gets a mutli-faceted view of this historical day. I don't think you have to be a history buff to appreciate this cycle. On the contrary, I think John almost tricks you into appreciating the history because he interweaves it with these compelling, universally-relatable personal stories. Clutch MOV (one of my new favorite things where I live) chose The FOG as the subject of their first podcast, where you can hear more behind-the-scenes info about the cycle and the people who made it happen. In 2013, on the eve of the 150th anniversary of the battle, we had the honor of performing selections from the cycle on NPR's Mountain Stage, which is broadcast to 150 stations around the world. 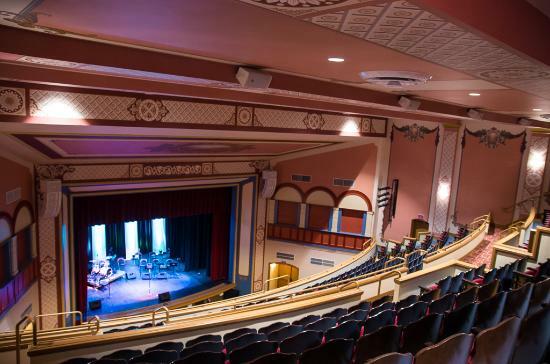 After having a few performances around the area in smaller local venues, we finally get to stretch out into a big space, and it's the newly renovated, gorgeous Peoples Bank Theatre in Marietta. We'll be there this Friday. Tickets are $15 in advance and $20 at the door. The concert will begin with music by solo artists Larry Groce and Colton Pack, followed by an intermission and then the cycle. You can buy tickets here.